Kejriwal~ What more do you expect in Modi Regime. 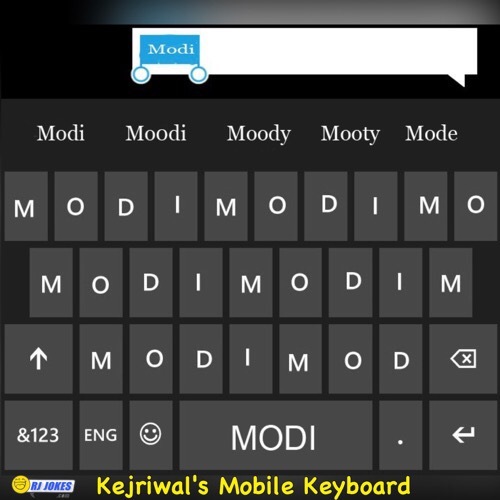 Arvind Kejriwal’s phone settings. Every word gets auto corrected to MODI..
Modi is obsessed with Kejriwal is like saying Dhoni is obsessed with Yograj Singh. Rahul Gandhi Funny Meme !!! After losing election !!! Reason Why Rahul Gandhi Smiling during Defeat Speech ! !